Given the Irrational Number Pi, are the Digits after the Decimal Point Random? No formal proof is given. proof, based on judgment prompted by feeling, is stated. 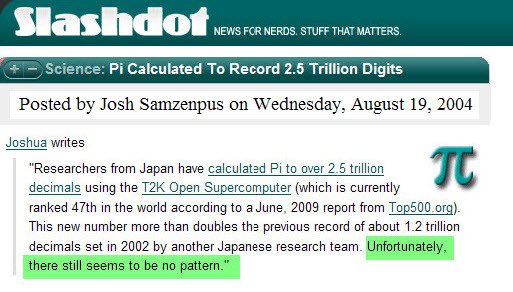 See the green-highlighted text: "Unfortunately, there still seems to be no pattern."